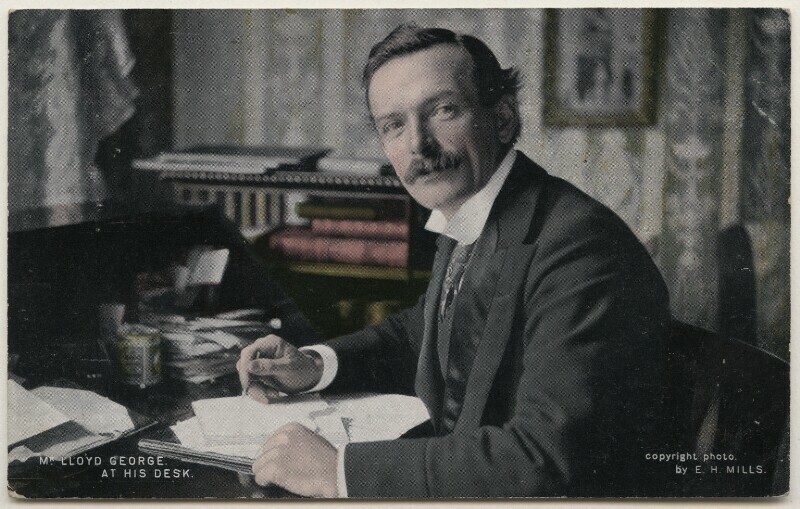 David Lloyd George, 1st Earl Lloyd-George (1863-1945), Prime Minister. Sitter associated with 132 portraits. R. Llewellyn Jones. Artist associated with 2 portraits. Ernest Herbert ('E.H.') Mills (1874-1942), Photographer. Artist associated with 54 portraits. The Conservatives return to power, after the Prime Minister Lord Salisbury calls a general election, known as the 'Khaki election', on the back of huge jingoistic support for the Boer War. The Labour Representation Committee (LRC) is founded from a coalition of socialist groups; they win two seats in the 1900 election and Ramsay Macdonald is appointed secretary. The Labour politician Keir Hardie is also returned to Parliament for Merthyr Tydfilin Wales. German physicist Max Planck proposes the concept of the quantum theory. Sigmund Freud's The Interpretation of Dreams is published. In the text, Freud outlines his theory of dream analysis, crucial to the study of the unconscious, and introduces key concepts in psychoanalysis, such as the Ego. The Paris International Exhibition, attended by more than 50 million people and including over 76,000 exhibitors, marks the heyday of Art Nouveau. In China the Boxer rebellion takes place. The Boxers were anti-imperialist and against foreign influence in trade, religion, politics and technology in the final years of the Manchu rule. The Boxers invade Beijing, killing 230 foreigners and Chinese Christians. The rebellion is suppressed by a multinational coalition of 20,000 troops, with China being forced to pay large war reparations, contributing to growing nationalist resentment against the Qing dynasty.